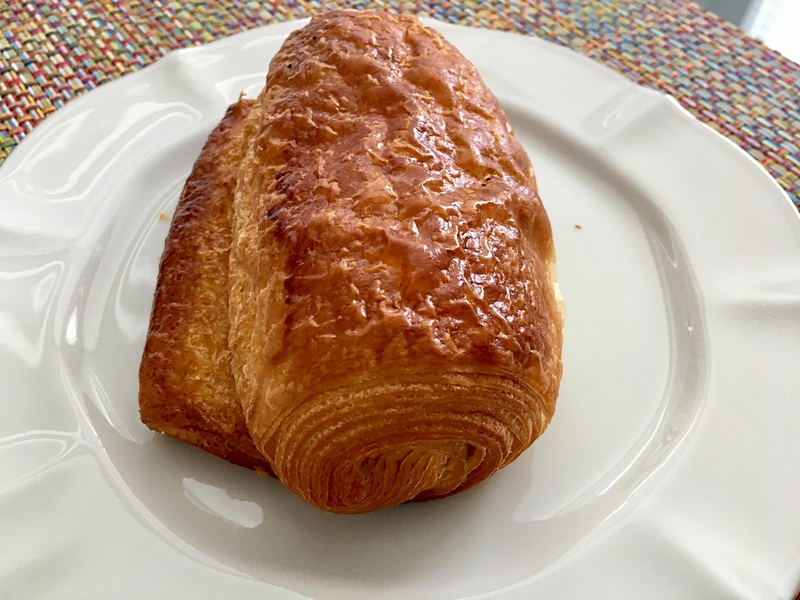 Since I was in the Chevy Chase area, I looked online searching for a French Bakery. 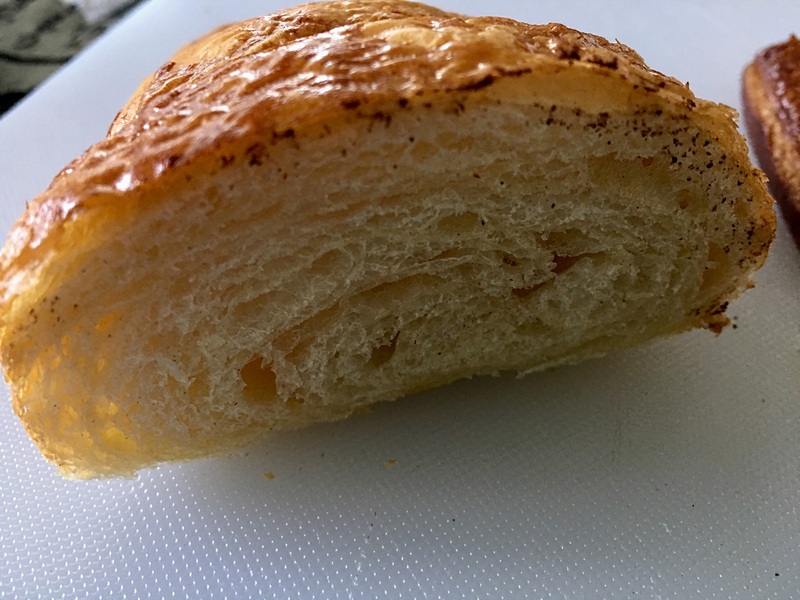 Fresh Baguette had a good rating and as usual the pictures looked better online than in the store. 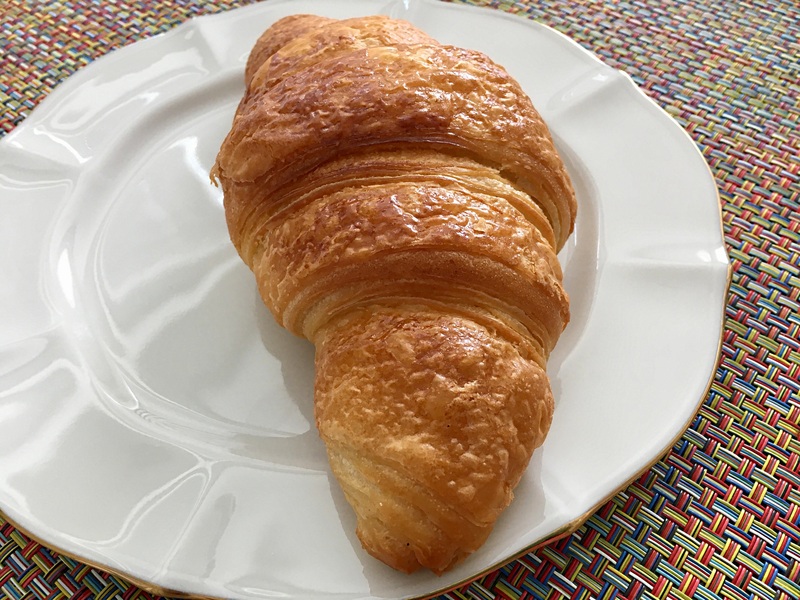 As you can see in the picture the croissant was very dense and cakey. I did not taste much butter either. 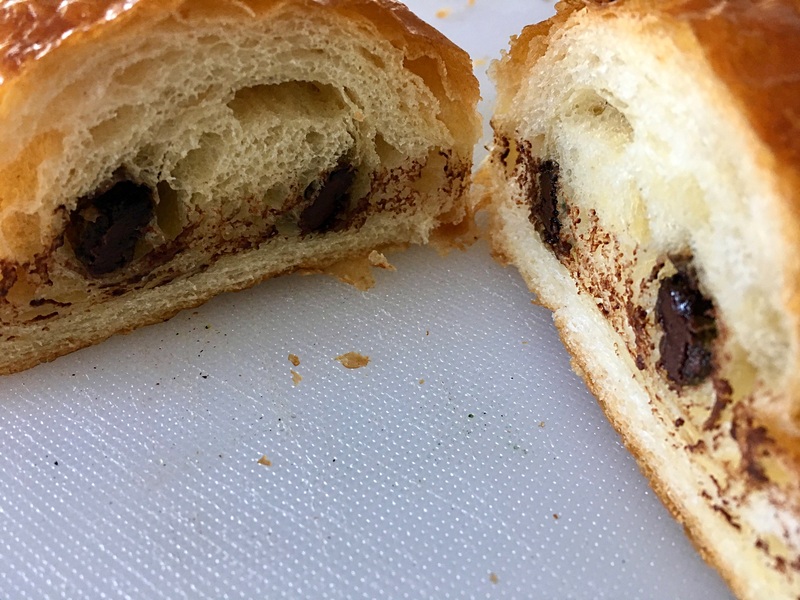 The chocolate croissant was very dense also. The chocolate made it more palatable. 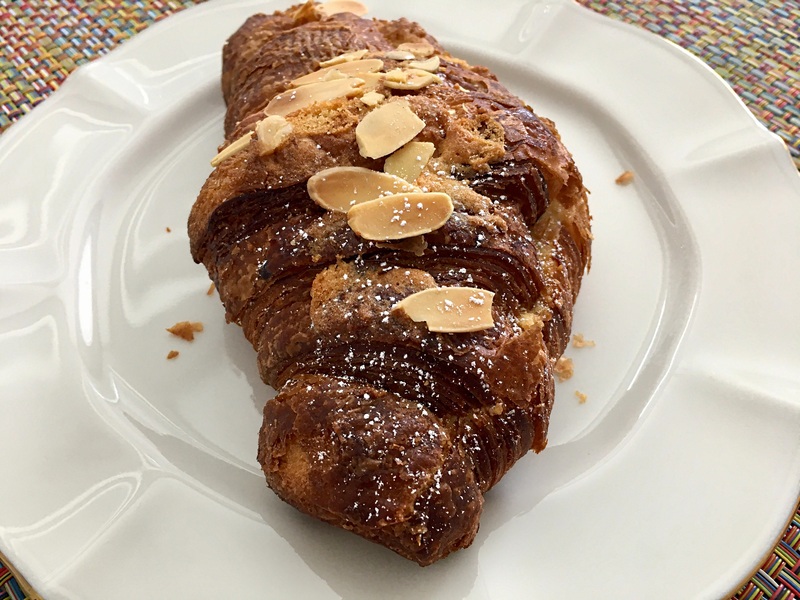 Since the other two failed to impress, I warmed up the almond croissant. It was more flavorful and better than the other two.